Home > Bodybuilding misc > Take a Break…or Not? The common notion is that if you stay out of the gym for longer than two weeks you’ll end up seriously deconditioned. Most bodybuilders are told to never lose the rhythm of their training, otherwise they might sacrifice everything they’ve gained. While this sounds logical and it might be true for some sports, we might as well consider it a myth in the world of bodybuilding. Overtaxing your muscles and not getting enough rest is far more detrimental to your growth than taking some time to recover. In fact, more rest means more time for your muscles to recover, resulting with an enhanced growth. If you plan things out correctly, you are able to get out of the gym for a while without harming your progress. 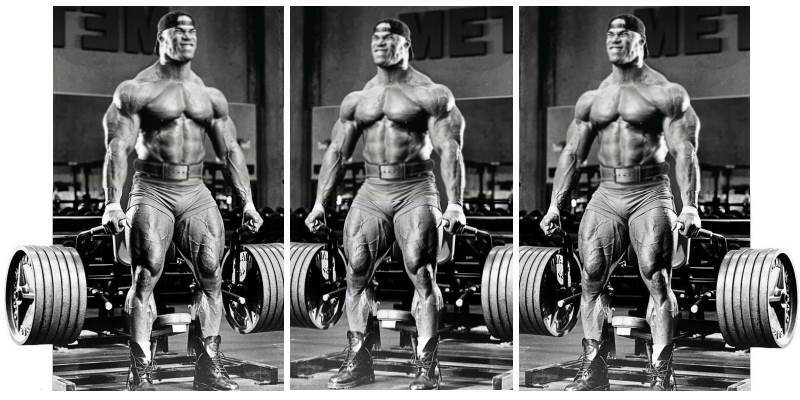 Many pro bodybuilders actually take regular time-offs in order to get bigger. The IFBB pro John Meadows has three weeks of light training after every show, followed by three weeks of staying out of the gym entirely. Ed Coan, the greatest powerlifter of all time with 71 world records in powerlifting, made sure to take two weeks off after every event. Then there is Kevin Levrone, the IFBB legend who reportedly used to take as much as 6 months off the gym at a time during his days of glory. There are many stories like these and the superb results of these guys should make you consider trying their approach to training, because sometimes less is more, even in bodybuilding. So how much time is it advisable to take off from lifting without risking your gains? A new study tried to provide an answer to this question. The researchers divided young men into two groups: the first had continuous resistance training, while the other took breaks. The researchers used magnetic resonance imaging to measure the upper arm and chest muscle size before and after the study. Both groups performed free weight bench presses three days per week, but the first group trained continuously throughout a 24-week period and the second group performed two cycles of a 3-week detraining period followed by a 6-week retraining period. The training intensity was set at 75% one-rep max (1RM) and all subjects had the same routine consisting of three sets of 10 reps. The final results showed that both groups had similar increases in 1RM bench press and there was no significant difference in muscle size between them. The participants that trained periodically lost some size and strength during their detraining period, but they were able to quickly regain it during the retraining. At the end, the periodic group had caught up with the continuous group in terms of growth and strength. These findings are of crucial importance for bodybuilders all around the world who believe that the only way to progress is by training continuously with no real breaks whatsoever. This is a myth, and a pretty harmful one at that, because not allowing your muscles a good quality rest could result with muscle loss and injury. Also, taking some time off is good for your mental strength. Nobody who isn’t a robot is able to keep pounding the iron endlessly with the same level of motivation – we can all use a break from time to time to refresh our brains and come back with renewed enthusiasm. So don’t be afraid to let your muscles and mind rest. Schedule some time off from your training and enjoy some other activity. After all, the gym is not all that life has to offer, remember? This recovery time will not harm your hard-earned gains – in fact, it might propel your muscle-building efforts to a new level!